The guy pulled up with our 2016 Chevy Malibu 2LT and our first impression said "Oh yes, this will be a great drive!" Those ever present television commercials are mostly correct. 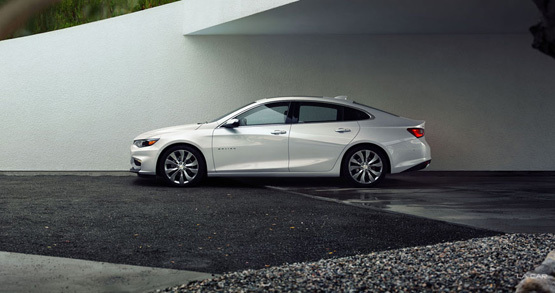 Chevrolet's 2016 Malibu has strong outside lines with sleek, modern styling. 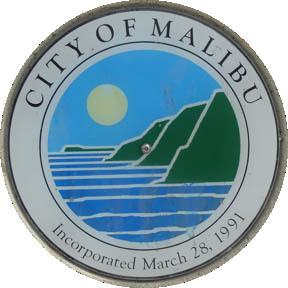 Because we could, we took our Malibu to Malibu where it turned quite a few heads. Mistake it for a Mercedes, BMW, or Audi? Not likely. And there's no need as Malibu's longer, lower 2016 stance can stand on its own. We are several generations removed from the original Chevy Malibu of 1964. More recent iterations created little interest beyond the appliance and rental vehicle market. The interior is roomy and sufficient which is the polite way of saying "uninspired". Materials and layout are not up to snuff with the exterior or underpinnings. The previous  Malibu won J.D. Powers' Most Dependable Midsize Car two years in a row, something that should translate to the modern version. Malibu's two-liter turbocharged inline four churns out 250 horsepower. Coupled to an all-new eight-speed automatic transmission, we had no trouble pulling into traffic, charging an onramp, or scooting along Pacific Coast Highway. Shifts are barely noticeable, there is no turbo lag, and handling is both light and predictable with ample braking power. Our test mileage slightly exceeded EPA estimates of 22/33. At 3271 pounds, Malibu zips around as well as any four cylinder mid-sized sedan should. If you ache for the power of a six or eight, you'll have to step up in size though it's unnecessary with this car. General Motors created much of the wave when it comes to vehicular internet connectivity. Malibu is its own rolling wi-fi hotspot. GM's venerable OnStar features 4G LTE operation with an eight inch MyLink audio system. Apple Carplay, XM satellite, hands-free Bluetooth, all are good ideas while the onboard Teen Driver Monitor function is something we would never use. Ever. Electronic warning systems abound at GM and Malibu is loaded with them. Lane departure, blind zone alerts, pedestrian detection, automatic braking, lane keep assist, following distance warnings, and on and on. We decided to drive the car ourselves and turned all of these functions off. Blaring lights and warning buzzers are more distracting than helpful. We are of the mind that when taking the wheel, you are accepting responsibility for performing the driving tasks. If you require excessive assistance, you should have someone else drive the car. The mid-size sedan marketplace is full of capable offerings from a multitude of manufacturers. All are competitively priced and equipped. 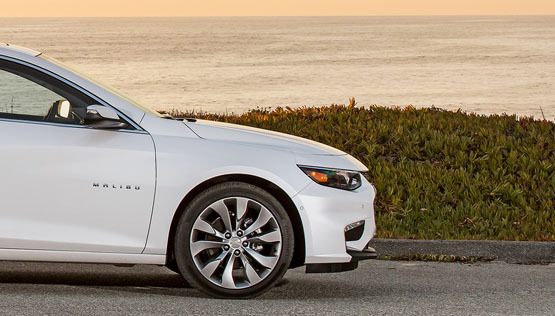 The new 2016 Chevy Malibu 2LT deserves a look when shopping around. We like the styling and handling and were proven right in our initial assessment upon first look. We did not like the overly preachy alarm systems or interior materials. Still, this was a good drive.